According to a notice recently issued by the IRS, it will be much easier for taxpayers to obtain a family-based credit after the implementation of the newly revised Child Tax Credit. These revisions were made possible by the tax reform legislation that was passed in December of last year. This law, known as the Tax Cuts and Jobs Act (TCJA), doubled the maximum Child Tax Credit, created a new dependent tax credit, and increased income limits for those who wish to claim the credit. To find out more about the tax credits that are available to you and your family come tax season, please contact a dedicated tax return preparation attorney who can assist you. Have a valid Social Security Number that was issued prior to the tax return’s due date. Finally, a taxpayer will only qualify for the credit if he or she claims a child as a dependent. As much as $1,400 of the Child Tax Credit is refundable for each qualifying child, which means that eligible taxpayers may be able to collect a refund even if they don’t actually owe any taxes. The TCJA also established a smaller credit, known as the Credit for Other Dependents, which is available to taxpayers with dependents who don’t qualify for the Child Tax Credit. Eligible dependents include children who are over the age of 17 years old at the end of 2018, parents, or other relatives, as long as they are supported by the taxpayer. Taxpayers who qualify for this credit can claim up to $500 per dependent. In addition to creating a second tax credit, and doubling the maximum amount of the Child Tax Credit that a taxpayer can claim, the TCJA also established higher income limits for those claiming this credit. Under the terms of the new law, the credit will begin to phase out for families with modified adjusted gross incomes of $200,000, or $400,000 for married couples who file their taxes jointly. 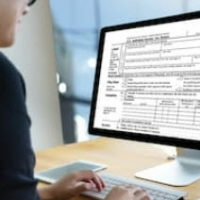 These amounts represent a significant increase from last year’s levels of $75,000 for single filers and $110,000 for married couples who file their taxes jointly. These higher income limits mean that more families can claim the Child Tax Credit than in prior years, so if you have questions about whether you are eligible to claim this credit, please contact our legal team today. To set up a free case evaluation with dedicated Florida tax return preparation attorney Ronald Cutler, P.A., please call 386-490-9949 or send our legal team an online message today.